The oil spill may have been cleaned up in weeks or even days, but as a commercial fisherman, you know better. Oil spills are environmental disasters. The pollution to the water devastates aquatic life. Not only does the pollution deplete the supply of fish, crab, lobster, and other aquatic life, it dramatically impacts the fisheries, restaurants, and other local businesses that rely upon that supply. While most businesses cannot recover economic losses suffered without proof of either a direct injury or property damage, commercial fishermen are entitled to such compensation for business-related damage caused by oil spills. If an oil spill has impacted your fishing business, you may have a legitimate claim against the vessel that caused the spill, the company that owns it, the company that manages it, and the company that chartered it. THE KAPLAN/BOND GROUP has successfully represented commercial fishermen and others that have been affected by oil spills. We also help individuals recover for damage caused to their yachts, boats, and other affected maritime equipment. When a vessel dumps oil or gas into the sea, the vessel, its owner, its manager, and its charterer are all strictly liable for all damage caused. Essentially, this means that the companies are financially responsible regardless of any negligence or wrongdoing. Claimants, however, must still prove their losses. In order to do this well, you need an experienced attorney to help you either negotiate a fair settlement or aggressively represent you at trial. 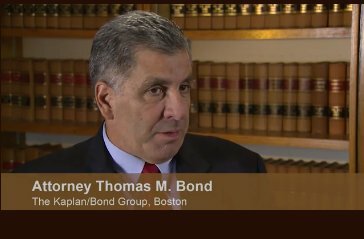 THE KAPLAN/BOND GROUP is distinguished by our dedication to providing close, personal attention to each client. We become intimately familiar with the facts of your case and the full extent of the damage done so that we can accurately quantify your losses and compel a full recovery. If a recent oil spill has caused you damage, please contact the attorneys at THE KAPLAN/BOND GROUP, and schedule a free initial consultation.